OUR APP IS NOW ACTIVATED. WE NOW HAVE A POTENTIAL AUDIENCE OF OVER 2 BILLION PEOPLE. EVERYONE THAT HAS A CELL PHONE CAN READ OUR WEBSITE, READ OUR SERMONS, AND WATCH THE VIDEOS OF US PREACHING. MY FRIEND DR. PAIGE PATTERSON SAID THAT YOU SHOULD, "TELL FIVE PEOPLE ABOUT OUR APP" - AND THE NEWS WILL SPREAD LIKE WILDFIRE BECAUSE THIS IS THE ONLY WEBSITE OF ITS KIND IN THE WORLD! GOD DID IT AND WE ARE HUMBLED BY THAT FACT. PLEASE PRAY FOR US. PLEASE SPREAD THE MESSAGE ABOUT OUR APP AND WEBSITE TO SEVERAL OTHER PREACHERS AND FRIENDS! 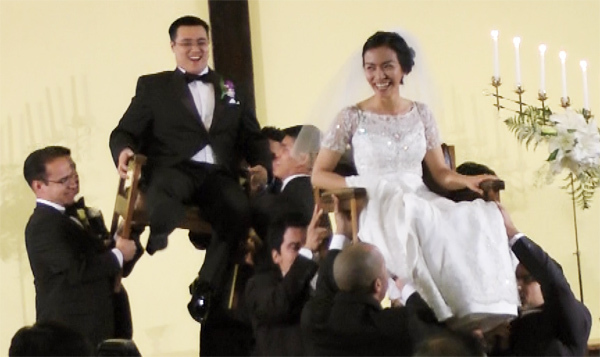 Click here for hundreds of word-for-word sermon manuscripts in english! FOR A COMPLETE LIST OF VIDEOS OF DR. HYMERS PREACHING CLICK HERE. CLICK FOR CHICHEWA - OUR 42nd LANGUAGE! "THE RAPTURE!" BY DR. R. L. HYMERS, JR.
"THE BLIND MAN WAS ME !" BY DR. R. L. HYMERS, JR.
"SANDEMANIANISM" BY DR. R. L. HYMERS, JR.
"OVERCOMING CHURCH SPLITS!" BY DR. R. L. HYMERS, JR.
"WHY WE HAVE CHURCH SPLITS" BY DR. R. L. HYMERS, JR.
"WHO WILL MISS THE RAPTURE?" BY DR. R. L. HYMERS, JR.
"SIGNS OF THE END!" BY DR. R. L. HYMERS, JR.
"A DAY OF REMEMBRANCE" BY DR. R. L. HYMERS, JR.
"DR. ROBERT L. SUMNER DEFENDS DR. HYMERS AND OUR CHURCH"
"DR. BILL HATHAWAY TALKS ABOUT DR. HYMERS AND HIS CHURCH"
CLICK HERE FOR "DR. HYMERS ANSWERS THE CRITICS"
"CLICK HERE FOR THE 40TH ANNIVERSARY OF OUR CHURCH!" "THE FUNERAL OF ELOISE ROOP"
WHERE DR. HYMERS WAS A MEMBER FOR OVER TWENTY-THREE YEARS. CLICK HERE FOR "CHRISTIAN AID MISSION." 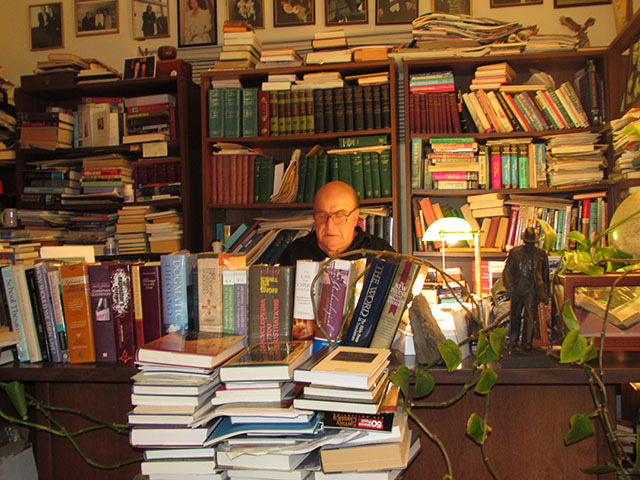 DR. HYMERS IN HIS HOME OFFICE, SURROUNDED BY BOOKS. HE SPENDS HOURS THERE EVERY DAY. MINISTRY. CLICK HERE TO WATCH HIM RECEIVE THIS AWARD. CZECH, NEPALI,	GREEK, LITHUANIAN, GERMAN, FRENCH, RUSSIAN, POLISH, ARMENIAN, SPANISH, PORTUGUESE, ITALIAN, CREOLE (haiti), AND ENGLISH. 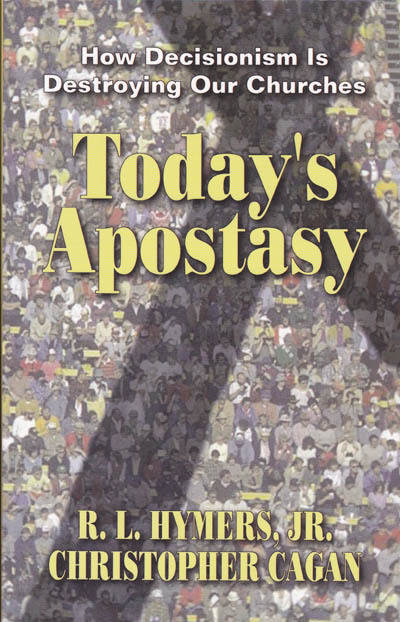 TODAY'S APOSTASY (LA APOSTASIA DE HOY) IS NOW AVAILABLE IN SPANISH. IT IS ALSO AVAILABLE IN ENGLISH. BOTH VERSIONS ARE $15.95! PHONE DR. HYMERS AT (818) 352-0452. THE SECOND EDITION OF TODAY'S APOSTASY IS NOW PUBLISHED WITH ALL ERRORS CORRECTED, IN MORE READABLE TYPE. "DR. HYMERS IS TO BE PRAISED FOR PUBLISHING ONE OF BAXTER'S GREAT BOOKS IN MODERN, READABLE ENGLISH. BE SURE TO READ DR. HYMERS' OWN INTRODUCTION ABOUT CURRENT AMERICA, WHICH HE CALLS THE 'LAND OF THE LIVING DEAD.' ALSO, READ HIS AFTERWORD AT THE END OF THE BOOK. LIKE MANY OF THE PURITAN PREACHERS, DR. HYMERS PROCLAIMS HIS MESSAGE WITHOUT FEAR OR FAVOR." - DR. I.D.E. THOMAS. 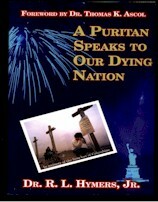 YOU CAN ORDER THIS BOOK BY PHONING (818) 352-0452, OR BY SENDING $15.95 AND ORDERING IT BY NAME. WRITE TO P.O. BOX 15308, LOS ANGELES, CA 90015. The book is free on this website only. Today's Apostasy, by Dr. Hymers and Dr. Cagan, is a companion volume to Preaching to a Dying Nation. 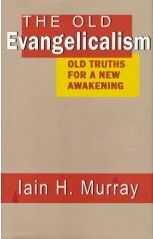 It contains Dr. Cagan's complete manual on conversion, much more material on decisionism, and the harmful influence of Charles G. Finney on contemporary evangelism. Click here to read it and/or print it out from your computer. The book is no longer in print, so it must be printed out by you by clicking here. NEW SERMONS POSTED EACH SATURDAY EVENING. HEBREW, CZECH, NEPALI, MARATHI, CREOLE(HAITI), SWAHILI, PUNJABI(India), PUNJABI(Pakistan), YIDDISH, KINYARWANDA, CHICHEWA & ENGLISH. NEW SERMONS ARE ADDED EACH WEEK. CLICK THE BUTTONS BELOW TO READ THEM. YOU MUST HAVE THE MICROSOFT "TRADITIONAL CHINESE LANGUAGE PACK" TO VIEW THE CHINESE, AND THE JAPANESE PACK AND THE KOREAN PACK TO VIEW THOSE LANGUAGES. TO ORDER BOOKS, TELEPHONE DR. HYMERS AT (818) 352-0452 OR WRITE TO HIM AT P.O. BOX 15308, LOS ANGELES, CA 90015, U. S. A.
Dr. Hymers does not receive any money from the sale of his books. All money we receive is put back into publishing and advertising new books. Who is Dr. R. L. Hymers, Jr.? R. L. Hymers, Jr. is a graduate of the California State University at Los Angeles (B.A. ), Golden Gate Baptist Theological Seminary, Southern Baptist (M.Div. ), San Francisco Theological Seminary, United Presbyterian (D.Min.) and Louisiana Baptist Theological Seminary, Baptist Bible Fellowship (Th.D.). He was awarded a Doctor of Literature degree (Litt.D.) by Louisiana Baptist University. He and his wife, Ileana, are the parents of two sons. Dr. Hymers worked with Southern Baptist churches for many years. 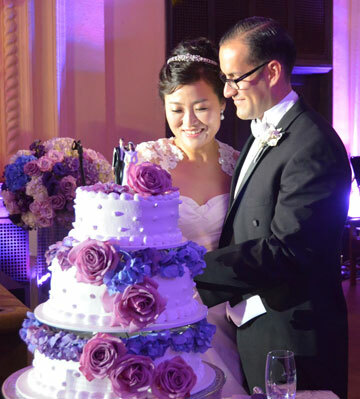 He was a long-time member of the First Chinese Baptist Church of Los Angeles, when Dr. Timothy Lin was the pastor. He became a fundamentalist by reading the books and sermons of the late Dr. John R. Rice. Dr. Hymers is the founding pastor of the Baptist Tabernacle in the civic center of Los Angeles. Known for his strong stand for Biblical inerrancy and inner-city evangelism, he has been in the ministry for sixty years. He holds a Reformed position on conversion, and is a premillennial dispensationalist. YOU CAN ORDER It by phoning dr. hymers at (818) 352-0452 or by writing to him at p.o. 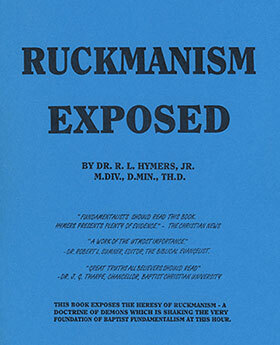 box 15308, los angeles, ca 90015. please make checks out to dr. r. l. hymers, jr., and request the book by name. dr. e. robert jordan, founder of calvary baptist theological seminary, told dr. hymers, concerning this book, "you have written the most important book of the last twenty-five years." this book will change your entire ministry. dr. thomas k. ascol says, "god bless dr. hymers." dr. kenneth e. gillming says, "you must read this great book." The quickest way to order it is by telephoning (818) 352-0452. don't wait! "The Great Falling Away - Plus Old-Time Pastoral Counseling" gives a summary of two larger books, "Preaching to a Dying Nation" and "Today's Apostasy." The major points of these two books are given in this condensed version. $4.95, 24 pages. Phone (818) 352-0452 to order, or write to P.O. Box 15308, Los Angeles, CA 90015. "From Darwin to Design" tells how Dr. Cagan, a staunch atheist, began realizing that the universe is too complex to point to anything but Intelligent Design. "YOU WON'T BE ABLE TO PUT IT DOWN!" - D. JAMES KENNEDY, Ph.D. ORDER YOUR COPY NOW AT AMAZON.COM (click here). Dr. Hymers' book "The Church That Will Be Left Behind" is in many ways the most hard hitting book he has ever written. Will you be left behind? You can order this book by telephone. It is $15.95. Order it by phoning (818) 352-0452, or send $15.95 and order it by name. Write to P.O. Box 15308, Los Angeles, CA 90015. $15.00 AND REQUEST THIS KOREAN TRANSLATION. it is a 'must' for every pastor." Send $15.95 and request the book by name. "Back to Puritan Revival" was written by Dr. Hymers with Dr. Eddy Peter Purwanto of Indonesia. The book is in Indonesian. Indonesia is the fifth largest nation on earth. This is Dr. Hymers' 15th book. Order it for only $9.95 by phoning (818)352-0452 or send a check and request it by name to P.O. Box 15308, Los Angeles, CA 90015. This little book gives our basic message against "decisionism." It explains how Charles G. Finney ruined evangelism and how this can be remedied in the local church. It gives our basic message in the form of small, quick to read, booklet. Send $4.95 and request it by name.